Really, Google? It was already the #1 keyword in all of my keyword reports. Now you’re saying it’s going to GROW?! Can we at least talk about this? Maybe negotiate a little? No? Okay, well forget you. I’ll figure out my own way to get around this issue. Let’s outline the problem we want to solve: We want to better understand inbound traffic from search. We have the search query, impressions, clicks, average position, and CTR. Great! Now we can trend branded vs. non-branded search visibility, positioning, CTR, and some other real neat stats. Mission accomplished, right? Well… not quite. We still can’t segment with this data. We won’t be able to understand their behavior after they land on the site. So how do we solve for this? One word: Buckets. 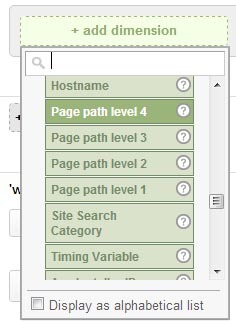 Is your site path hierarchy clean? Is it a simple /category/drilldown1/drilldown2/product.html? 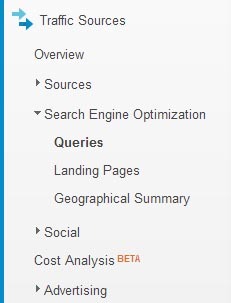 Build out custom reports (or even use the built in reports) so you can segment search traffic. The drill-down levels will give you a directional indication of how the visitors from certain keyword categories are performing. More analysts need to use custom variables. Seriously. I’m tired of looking at clients’ GA profiles only to see absolutely nothing in the custom variable slots. Need more information on custom variables? Go to Google’s Help page. By using page-level custom variables, you can set a Name/Value pair for the pages on your site… that includes pages your traffic lands on. The drawback? It isn’t really possible to determine if the page that is described by the custom variable was actually the landing page. My recommendation? Either try to code around it or use the general user behavior as (yet another) directional indicator.